Take care buddy, and I'll keep popping in to see how she is Laz. Your bike looks great. I dont want to sell mine but I am. 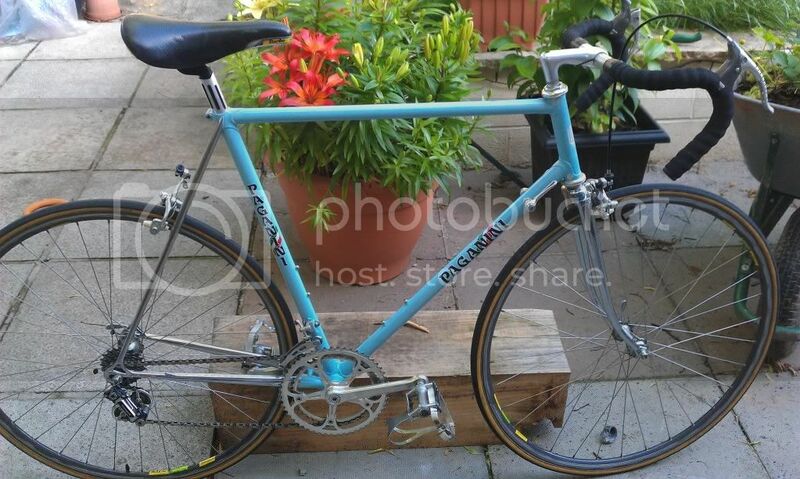 just search "paganini road bike". the ambrosio wheels are next going to have them checked by my lbs and then service etc. Last edited by mrlee on Mon Apr 16, 2012 11:09 pm, edited 1 time in total. 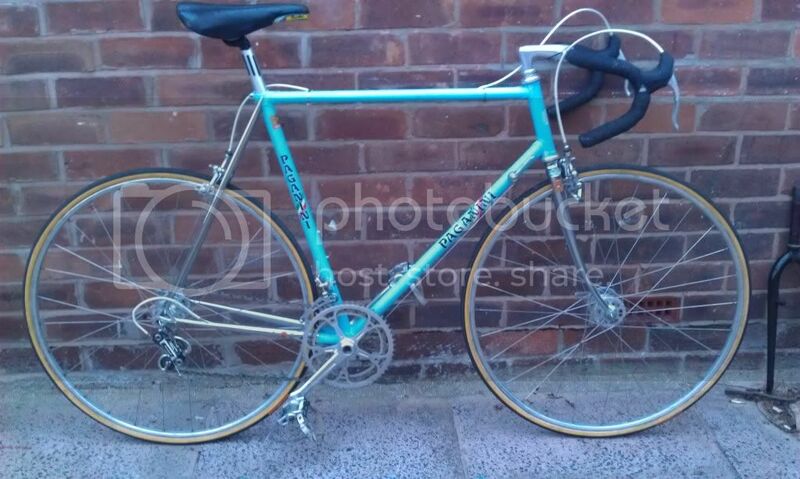 Looking fabulous, I hope you get those Campag brakes on as they will finish it off nicely. 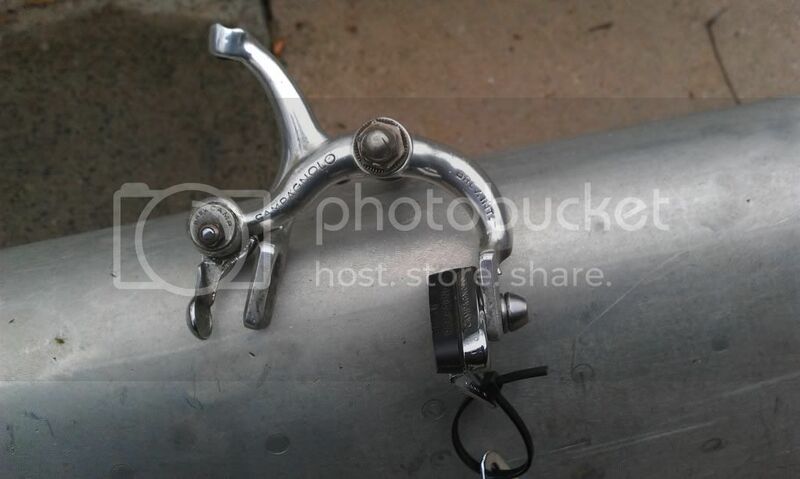 Nigel at Campyoldy has NOS brake lever hoods if you feel like splashing out. 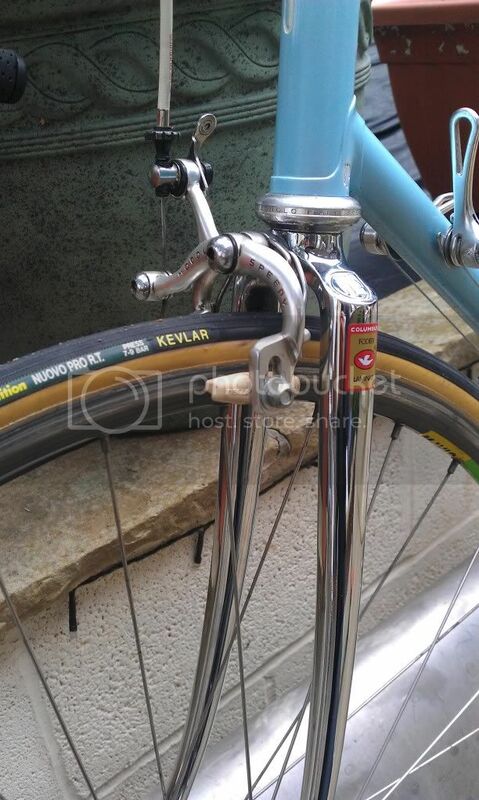 I'm intrigued by the cable clips on the top tube though. 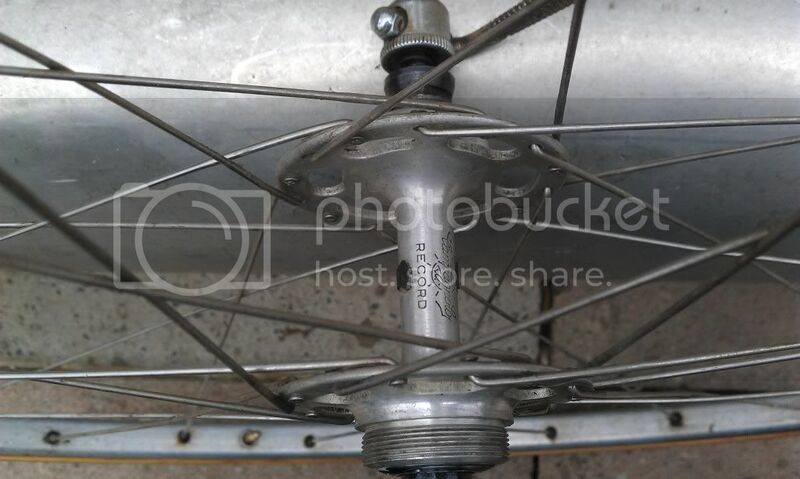 Does the outer cable not run all the way through the tube? Good point Mr Lee: I'm sure a rattlecan job is nowhere near as good as a pro job - especially if I'm the one holding the can... I was just surprised at the quoted cost as my local bike place has quoted 150 Euros. But in defence of CBT Italia I suppose they would have to slot ad hoc jobs in between production of their current models so the costs and planning are on a different scale altogether. A quick inspirational update as there's now another early paganini on the forum, the other model is a super corsa and it looks identical to mine. 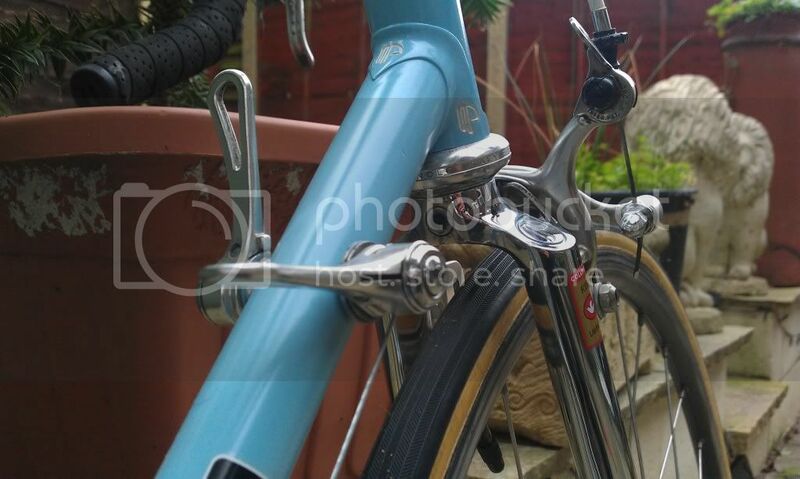 Managed to aquire a pair of wheels as the ambrosio monty's are shot, there record hubs on fiamme tubs also found the adjusters for the the calipers,I just need some campy hoods to finish the parts off. I can feel the excitment building up inside, watch this space.